Recently I have been ad swapping with lots of other amazing bloggers. It has been a lot of fun meeting new awesome people like you! 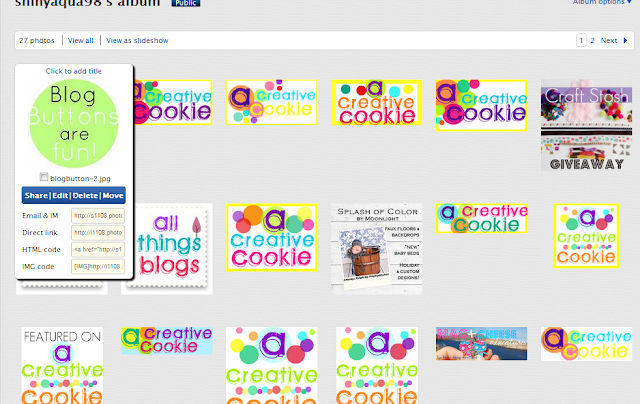 Ad swapping with each blog means a different sized button each time I swap! That means re-doing computer HTML every time. 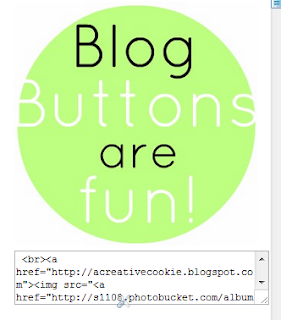 When I first started blogging, I couldn't figure out how to make a blog button. It seemed like everyone had them! I had tried numerous times, using online guides and websites to help me. It. didn't. work! "How in the world does this work?" Start by creating your button. Here's a simple tutorial using Pic Monkey, an online photo editing site that is just like Picnik. Decorate with shapes and words. Go to Photo Bucket and click 'upload' (green button at top of page). Upload your photo and copy the HTML CODE (drag mouse over the photo for copy options). It may look weird, and you might be tempted to add that extra quotation mark at the end ["]. Don't. I promise the code above is exactly how it should be. 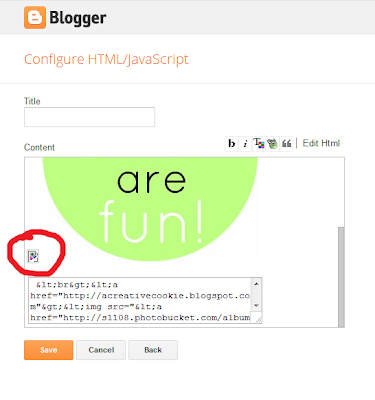 Make sure your blog URL has http:// before it. Now you have your code! Insert your code under the HTML section (the little button on the top right of the text box will either say "Rich Text" or "Edit HTML". Click "Edit HTML"
Now click the "Rich Text" button and check out your button! 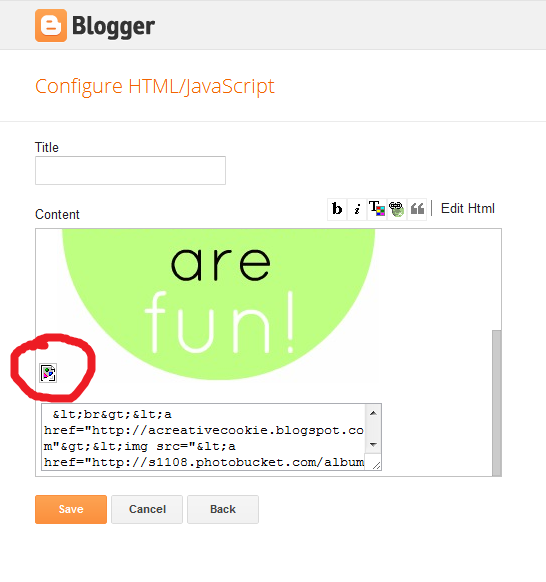 Click save and view your blog. Say hello to your new button! 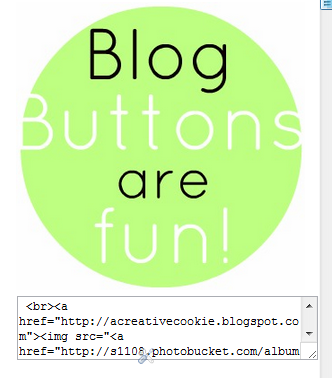 Every time you make a new button, you can use the same code, just change the HTML code grabbed from Photobucket. Now for part 2 of this post - how to add a grab box underneath your button so others can grab your shiny new button! Go back to Photobucket. Now, copy the "Direct link" when you scroll over the photo. You can customize the size of the grab box by changing "cols=40" and "rows=4" to whatever size you want. Now add that code right underneath your first code and insert that into the HTML gadget. It's a lot of code! Sometimes you will see a little extra photo icon (or an extra bracket or some other symbol) next to your button. Simply highlight it and delete it. 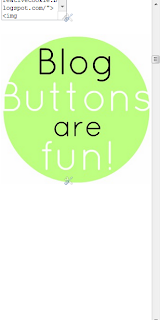 You have a beautiful button that all your friends can grab! I hope this helped you with creating your own button. Once you make yours, I'd love to swap with you! Find the info HERE. Thanks to Smilemonsters' post with very helpful tips and EBlogger Tricks for the info on the grab box. They really are the ones who should be thanked!